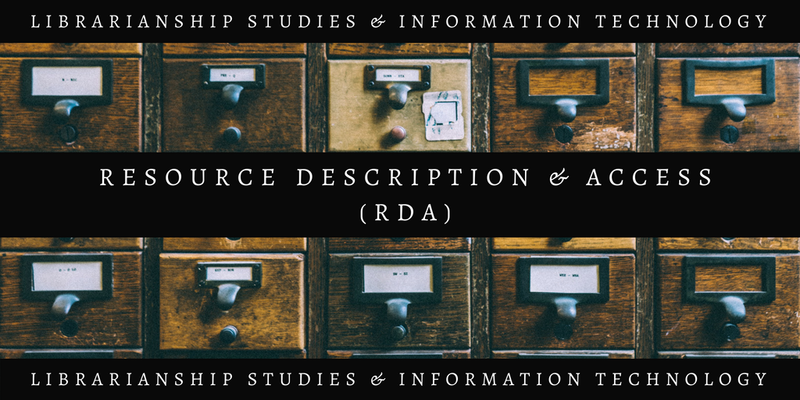 In Resource Description and Access (RDA) cataloging rules there are a number of guidelines and instructions that are labeled as options. Options appear in two forms in RDA, viz. optional additions and optional omissions. The optional addition of data that supplement what is called for in the immediately preceding instruction, or the optional omission of specific data called for in the immediately preceding instruction. Hence, it can be said that optional instruction offers the opportunity to either supplement required data with additional information (metadata), or omit data from what is instructed in the preceding rules. Here it is important to note that each library or cataloging agency can decide when or whether to follow the options or just follow the rules in the immediately preceding instruction. 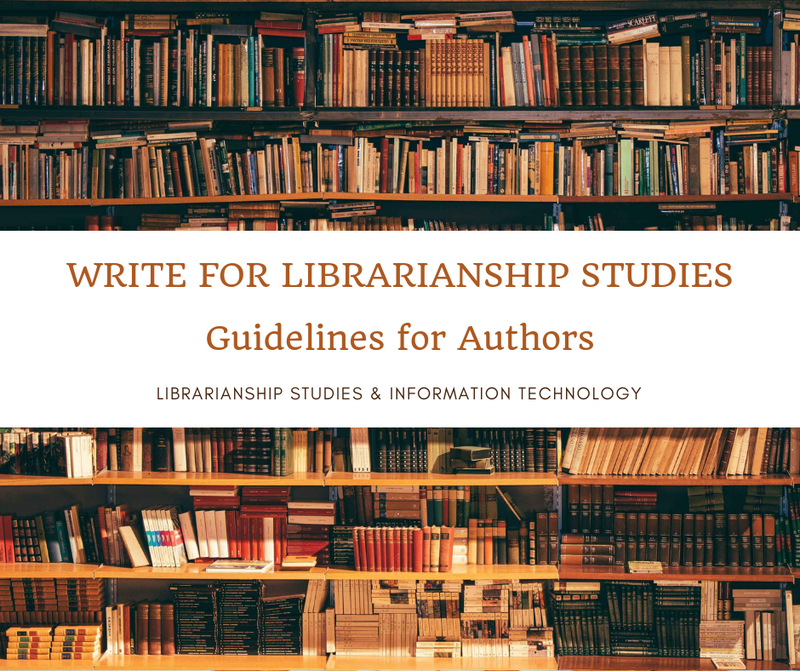 They may choose to establish their own policies and guidelines on the application of the options or leave decisions on the use of options to the cataloger’s judgment. RDA rule 2.8.6.3 is for Recording Date of Publication. Here an optional addition instruction appears after the examples which say “If the date as it appears in the resource is not of the Gregorian or Julian calendar, add the corresponding date or dates of the Gregorian or Julian calendar. Indicate that the information was taken from a source outside the resource itself.” Just after the label Optional Addition, there are icons that link to various policy statements. If you go to the LC-PCC PS for this alternative, it says: “LC practice/PCC practice for Optional addition: Add the corresponding date or dates of the Gregorian or Julian calendar. If dates have been recorded using the Hebrew script, the Gregorian or Julian calendar date may be added in both the non-Latin and romanized field or only the romanized field.” (Click on the image to enlarge). RDA contains a number of guidelines and instructions that are marked as alternatives, options (optional additions, optional omissions), and exceptions. Each of these is clearly identified by an italicized label, which in the RDA Toolkit appears in green color in the instruction (alternative, optional addition, optional omission, exception). A green vertical bar also appears in the left margin next of an alternative, optional, or exceptional instruction in RDA Toolkit. These allow individual libraries or cataloging agencies to make decisions based on individual considerations in cases where two or more provisions are equally valid. Guidelines for alternatives and options are provided in RDA rule 0.8, and instructions for applying exceptions is at RDA 0.9 of chapter 0. How to decide whether to apply the alternatives, options, or exceptions? 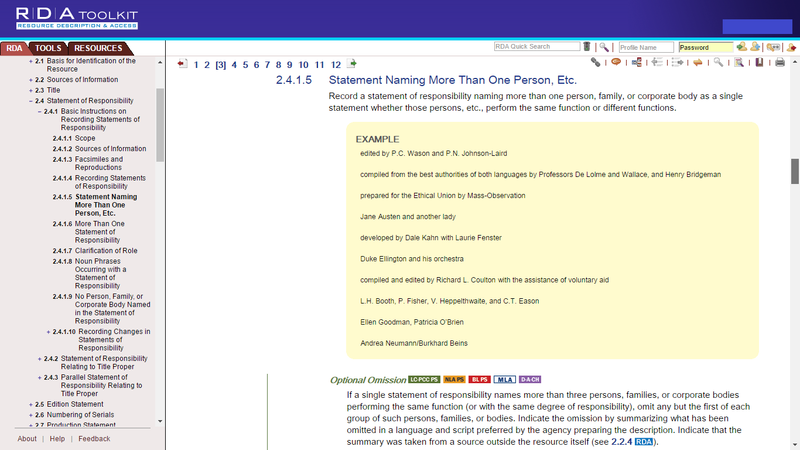 Whether to apply the alternatives, options, or exceptions is cataloger judgment, unless an LC practice has been identified in an LC-PCC PS (for LC catalogers). Each library or cataloging agency must decide whether or not to use each of these alternatives and options. This can be done by choosing one or more of the following approaches: (a) Establishing local policies for all options and alternatives, or (b) Establishing local policies for some, but not all, options and alternatives, or (c) Following the policy statements of other libraries and programs, such as the Library of Congress-Program for Cooperative Cataloging Policy Statements (LC-PCC PS) or British Library Policy Statements (BL PS), or (d) Allowing individual catalogers to use their judgement who are responsible for creating the metadata for the bibliographic items. Unlike alternatives and options, exceptions are not subordinate to general instructions, therefore, RDA exceptions generally do not require policy statements, although some exceptional situations may require some additional clarification. Exceptions must be followed when applicable. They are provided when it is necessary to depart from a rule’s instructions because of a specific type of resource or situation.